Darford’s new ZERO/G™ dog treats promise to provide discerning pet parents with everything they’re looking for in a premium dog treat—and everything they’re not. Loaded with power-packed superfoods, like quinoa, cranberries, blueberries, chia seeds and kelp, ZERO/G treats also feature zero grains, zero gluten, zero GMOs and they’re gluten free. ZERO/G™ treats are available in four delicious flavors that dogs will love: Roasted Duck, Roasted Lamb, Roasted Salmon and Roasted Chicken. Real meat is always the number one ingredient, ensuring the treats are rich in protein and in flavor. The superfoods found in Darford’s ZERO/G™ provide dogs with numerous nutritional benefits including vitamins and minerals, antioxidants, Omega 3 fatty acids, calcium, added fiber and protein. They are a perfect addition to any dog’s diet, but particularly for those dogs suffering from allergies or with food sensitivities to grains, gluten and potatoes. Available in case packs of six – 340 gram/12 oz. bags, Darford’s new ZERO/G™ dog treats come in re-sealable bags and will be available to ship at the end of August 2016. 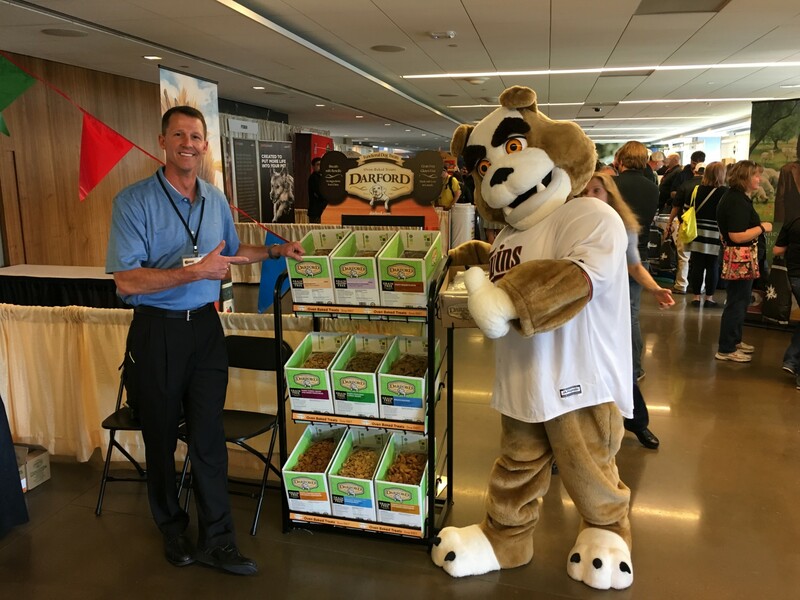 Darford has been baking premium natural dog treats since 1987 in a variety of tasty, healthy flavors. Darford uses only the best ingredients, follows rigorous quality control guidelines and bakes all of its treats in its own ovens–right here in Canada.